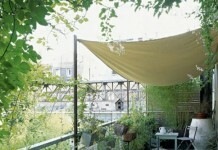 Urban Rooftops can be changed into gardens that provide a calm retreat. Here’re the 5 Roof Garden Designs to inspire you! 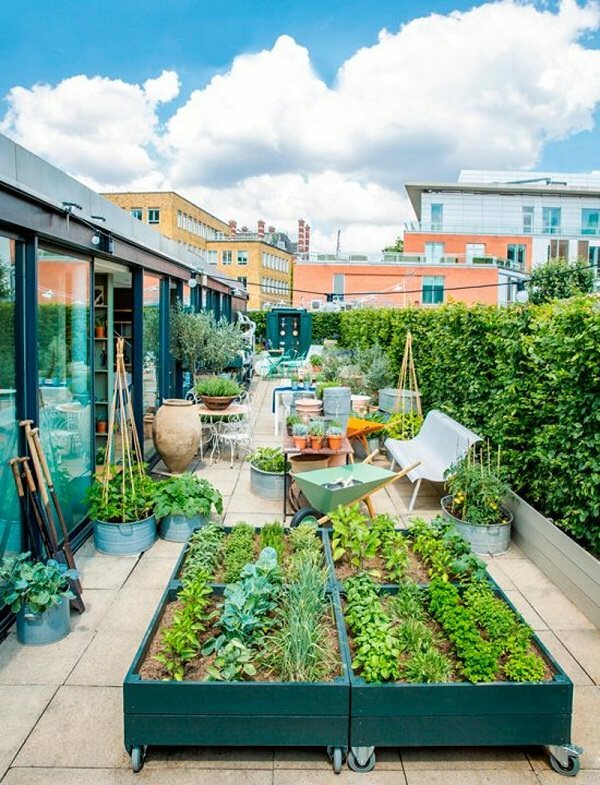 This functional rooftop garden in London has vegetables and herbs growing in containers and raised beds/planter boxes that are movable. 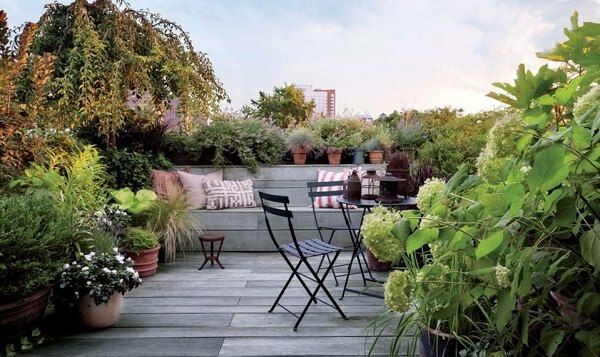 This New York City rooftop designed by Brook Landscape provides a perfect seating space in the busy urban life. Some beautiful ornamental plants in terracotta pots and herbs make it a great peaceful refuge. 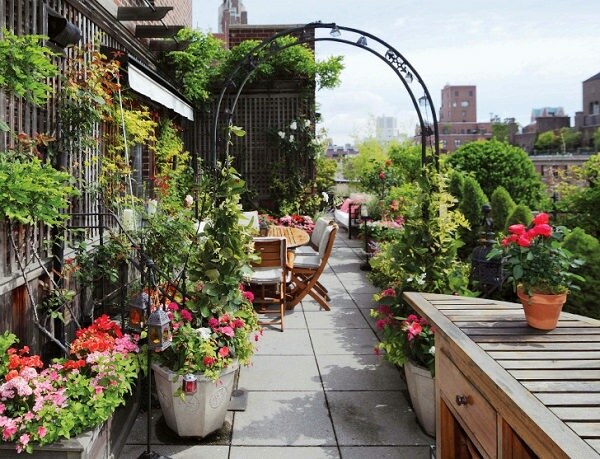 This NYC rooftop garden is undoubtedly so colorful. The touch soft pink and red is everywhere, in fuchsia, hibiscus, and New Guinea impatiens. Also, the variation in foliage makes it interesting. Bamboo at the far North East corner and especially the dwarf Alberta spruce giving a perfect greenery. 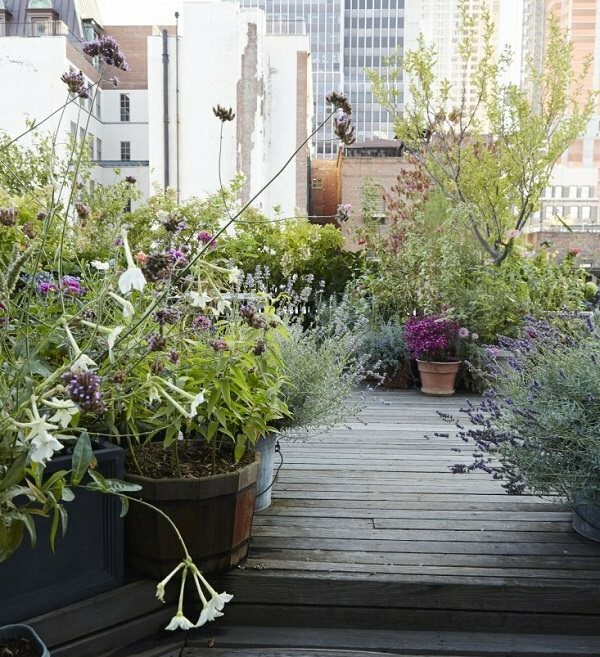 This rooftop garden in lower Manhattan is more beautiful in real than it looks in the picture. Purple agastaches and lavenders mix with wild grasses, hydrangeas, and roses. And there’s the white nicotiana (at left) that erupts “beautiful, tropical scent. 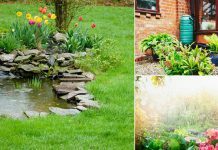 To learn more about this garden, click here! Excellent use of grasses! Landscape architect Christopher Bradley-Hole has created this garden in the heights of London, to create a kind of protective screen of the rest of the city, without obscuring the view. 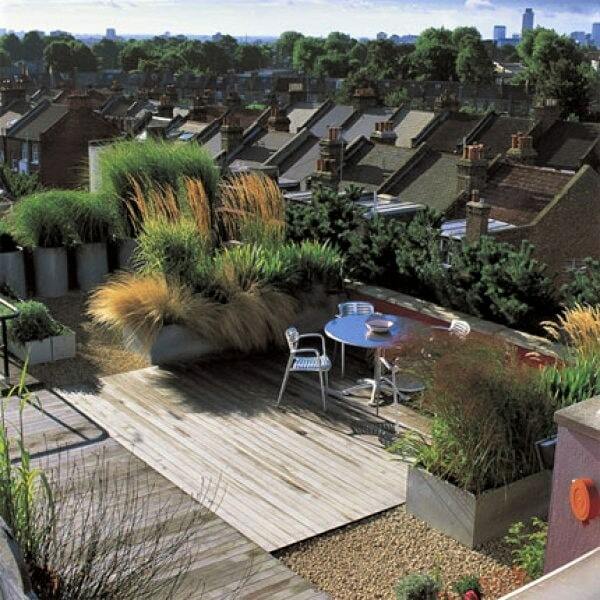 Thanks for the ideas on different ways you can design your roof garden. I really like the idea of having a walkway with an arch over it and different plants growing off of that. 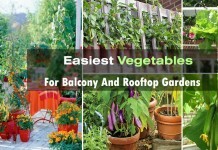 I would imagine that garden rooftops can really help keep your building cooler during the summer.